All wine related games for your wine hour entertainment. Cards, board games, trivia. 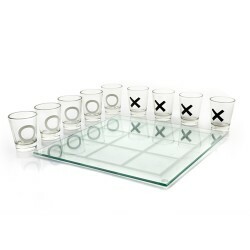 The stakes just got higher and Tic Tac Toe just got fun. Tic Tac Shot! transforms the classic boredo.. DESCRIPTION ZinZig is the Wine Tasting and Trivia Game that will challenge your mind and palate. ..